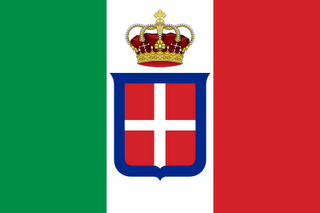 The basic reason for this invasion, and lets not forget an invasion against a soverign state who had aided them in 1848, was to keep the momentum of a united Italy alive, in my opinion a weak motive giving the fact that they were afraid to invade the Austrian territory of Veneto without the French. 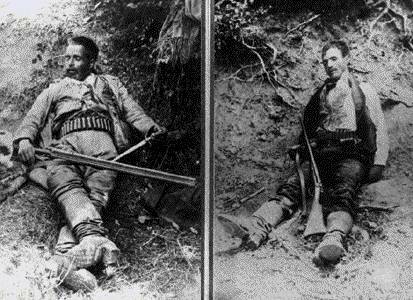 The partisan chiefs in the kingdom of Naples may have been brigands, pure and simple but there is thin line between brigand and partizan,but it is true most of them had either been long wanted by the police, or had already suffered in prison for their crimes. That said reactions with arms are not made by men who prefer the hearthrug and the slipper plus a good pipe.
. They organised their troops on the strict principles of brigand bands, and proposed to them the same object: harrass the invader . 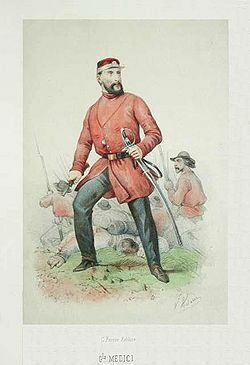 'Lieut-General' Chiavone who had a mania for imitating Garibaldi, was the least violent among them; unlike his prototype, he did not like being under fire, but neither did he care to spill innocent blood. What, however, can be said for Pilone, 'commander of His Majesty's forces' on Vesuvius; for Ninco Nanco, Bianco dei Bianchi, Tardio, Palma; for Carusso, who cut the throats of thirteen out of fourteen labourers and told the one left to go and tell the tale; for the brothers La Gala, who are said to have roasted and ate a priest?Or was that Piedmontese propaganda. It was said that no horror committed during the Indian Mutiny was here without a parallel. 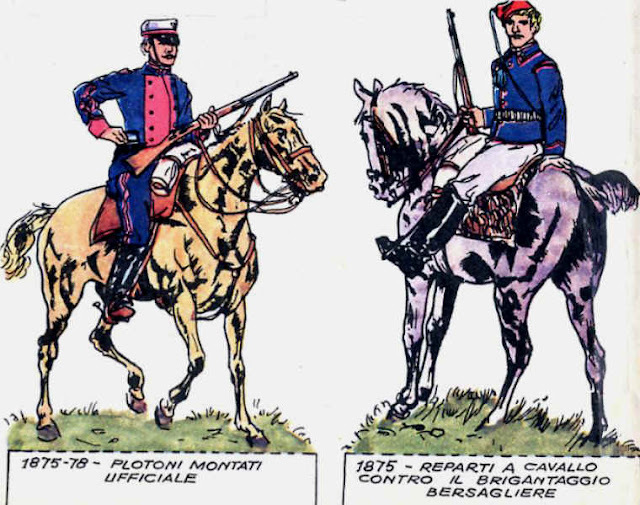 Of respectable Neapolitans who held responsible posts under the late régime not one joined the bands, but they contained French, Austrian and Belgian officers, and one Prussian. A nephew of Mgr. de Mérode, the young Marquis de Trazégnies, was with Chiavone; the Carlist, Josè Borjès, was with a partizan named Crocco. 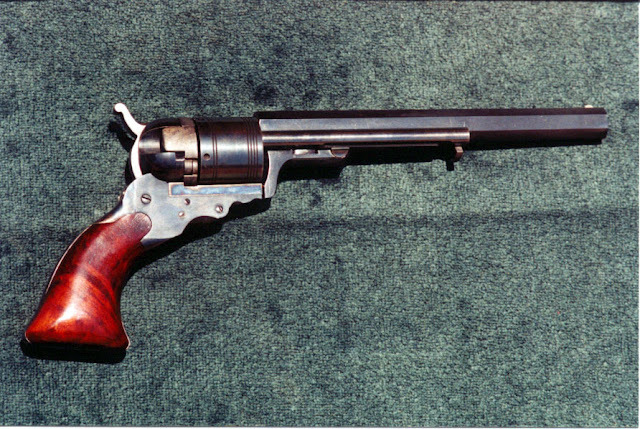 Borjès'( left)case is a hard one. He had been made to believe in the genuine character of the insurrection and thought that he was giving his sword to an honourable cause. The melancholy disillusion can be traced in the pages of a note-book which he kept from day to day, and which fell into the hands of the Italians when he was captured. The brief entries show a poetic mind; he observes the fertile soil, deploring, only, that it is not better cultivated; he admires the smiling valleys and the magnificent woods whose kings of the forest show no mark of the centuries that passed over their fresh verdure. At first Borjès was pleased with the peasants who came to him, but as they were few, he was obliged to join Crocco's large band(left), and he now began to see, with horror, what kind of associates he had fallen amongst. He had no authority; the brigands laughed at his rebukes; never in his life, he writes, had he come across such thieves. Before the enemy they ran away like a flock of sheep, but when it was safe to do so, they murdered both men and women. In desperation, Borjès resolved to try and get to Rome, that he might lay the whole truth before the King, but after suffering many hardships, he was taken with a few others close to the Papal frontier and was immediately shot. He died bravely, chanting a Spanish litany. Borjès' journal notes the opposition of all classes, except the very poorest and most ignorant. Was it to be believed, therefore, that this mountain warfare, however long drawn out, could alter one iota the course of events? If Francis II. supposed the insurrection to be the work of a virtuous peasantry, why did he allow them to rush to their destruction? The task of restoring order was assigned to General Cialdini. He found the whole country, from the Abruzzi to Calabria, terrorised by the league of native assassins and foreign noblemen. The Modenese general was a severe officer who had learnt war in Spain, not a gentle school, he also is said to have massacred in S.S fashion. If he exceeded the bounds of dire necessity he merits blame; but no one then hoped in the efficacy of half measures. One element in the epidemic of brigandage, and looking forward, the most serious of all, was an unconscious but profoundly real socialism. If half-a-dozen socialistic emissaries had assumed the office of guides and instructors, it is even odds that the red flag of communism would have displaced the white one of Bourbon. This feature became more accentuated as the struggle wore on, and after experience had been made of the new political state. The economic condition of a great part of the southern population was deplorable, but liberty, so many thought, would exercise an instantaneous effect, filling the mouths of the hungry, clothing the naked, providing firing in winter, sending rain or sunshine as it was wanted. But liberty does none of these things. The disappointment of the discovery did not count for nothing in the difficulties of that period; it counts for everything in the difficulties of this.Liberty meant the right to starve. 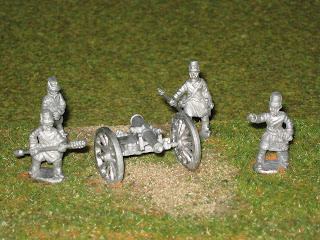 The reorganisation of the southern provinces proceeded very slowly. The post of Lieutenant-Governor was successively conferred on L.C. Farini, Prince Eugene of Carignano, and Count Ponza di San Martino; for a short time Cialdini was invested with the supreme civil as well as military power. None of these changes met with entire success. The government was sometimes too weak, sometimes too arbitrary; of the great number of Piedmontese officials distributed through the south, a few won general approval, but the majority betrayed want of knowledge and tact, and were judged accordingly.Italians chasing partizans by ruggero It was a misfortune for the new administration that it was not assisted by the steam power of moral enthusiasm which appeared and disappeared with Garibaldi. There is a great amount of certainty that the vast bulk of the population desired union with Italy; but it is equally certain that the new Government, though not without good intentions, began by failing to please anybody, and the seeds of much future trouble were planted. 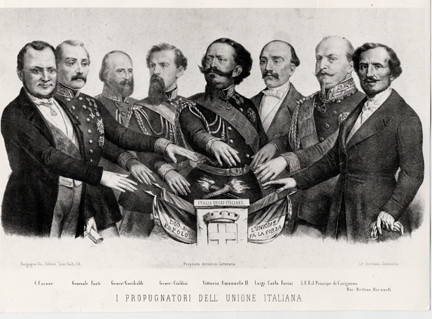 On the 18th of February 1861, the first Italian legislature assembled at Turin in the old Chamber, where, by long years of patient work and self-sacrificing fidelity to principle, the possibility of establishing an Italian constitutional monarchy had been laboriously tested and established. Only the deputies of Rome and Venice were still missing. The first act of the new parliament was to pass an unanimous vote to the effect that Victor Emmanuel and his heirs should assume the title of King of Italy. The Italian kingdom thus constituted was recognised by England in a fortnight, by France in three months, by Prussia in a year, by Spain in four years, by the Pope never. 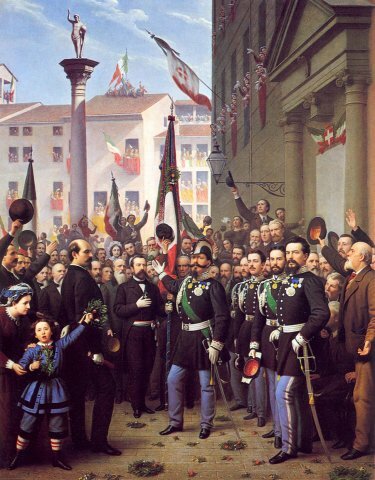 Though it is natural to sympathise with Garibaldi in his eagerness to obtain generous terms for his old companions-in-arms, it may be true that his demand was not one that could be satisfied in its full extent. The volunteers were not inferior to the ordinary soldier; about half of them were decidedly his superior, but they were a political body improvised for a special purpose, and it is easy to see how many were the reasons against their forming a division of a conventional army like that of Piedmont. Nevertheless, the means ought to have been found of convincing them that their King and country were proud of them, that their great, their incalculable services were appreciated. That such means were not found was supposed to be the fault of Cavour. It was only in 1885, on the publication of the fourth volume of the Count's letters, that it became known how strenuously he had fought for justice. 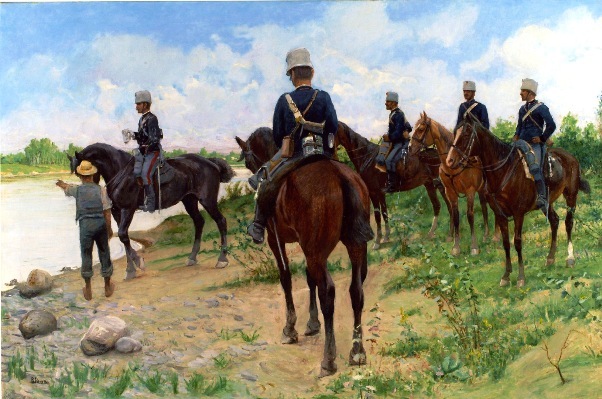 Military prejudice was what was really to blame; General Fanti, the Minister of War, even provoked Cavour into telling him 'that they were not in Spain, and that in Italy the army obeyed.' 'A cry of reprobation would be raised,' he wrote, 'if, while the Bourbon officers who ran away disgracefully were confirmed in their rank, the Garibaldians who beat them were coolly sent about their business. Rather than bear the responsibility of such an act of black ingratitude, I would go and bury myself at Leri. I despise the ungrateful to the point of not feeling angered by them, and I forgive their abuse. But, by Heaven, I could not bear the merited blot of having failed to recognise services such as the conquest of a kingdom of 9,000,000 inhabitants. 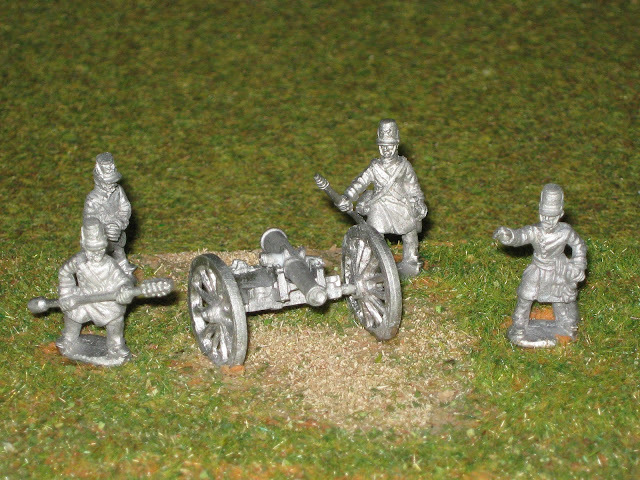 'He forgot that he had left the fighting at Magenta and Solferino mainly to the French . 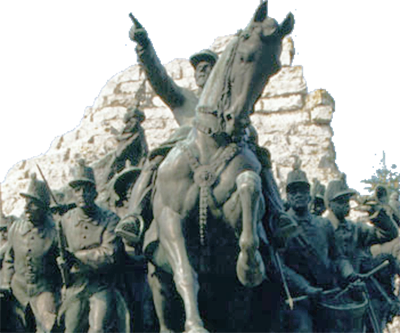 Villafranca had been the real turning point for Naples as it was in those days that Italy thought to at least get the South as without the French they were totally incapable of defeating the Austrians. It was an unprovoked attack and an invasion of a soverign territory like Iraq today. 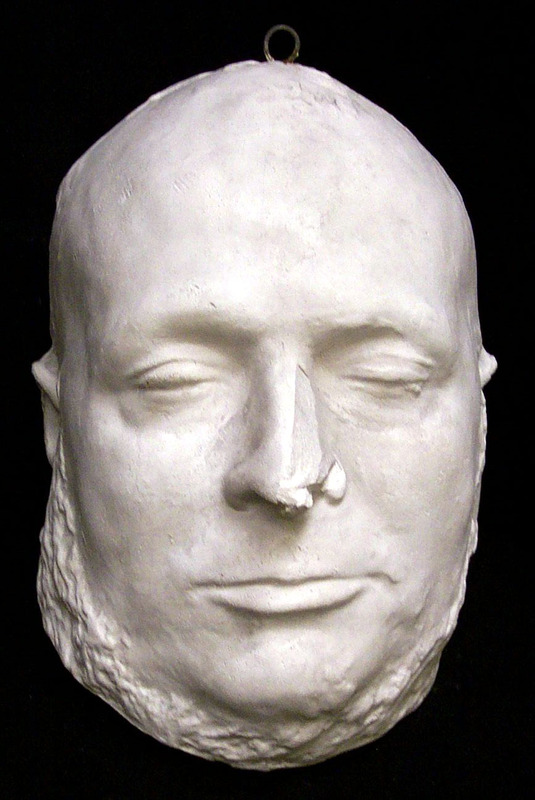 Cavour, in fact, did obtain something; much more than the army authorities wished to give, but much less than Garibaldi asked or than the Count would doubtless have given had not his hands been tied. And, doubtless, he would have given it with more grace. Medici. 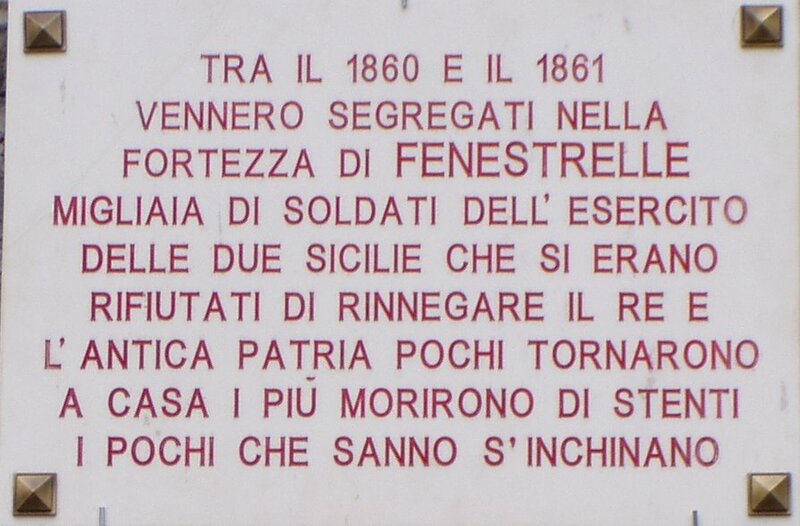 An important figure in Southern Italy after the invasion. Cialdini tried to stir up the quarrel anew by a letter full of foolish personalities; but to this sort of attack Garibaldi was impervious. It mattered nothing to him that a man should make rude remarks about his wearing a red shirt. He admired the victor of Castelfidardo(below) as one of Italy's best soldiers. He was, therefore, perfectly ready to embrace Cialdini at the King's request before he left Turin for Caprera. 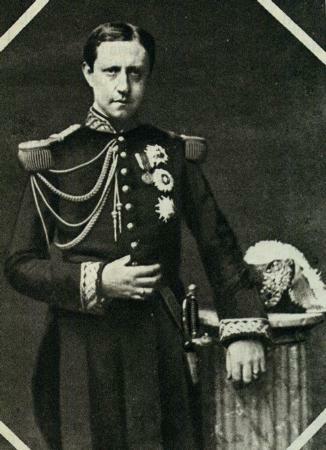 It cost him more to consent to an interview of reconciliation with the Prime Minister in the royal presence, because his disagreement with Cavour was purely political and impersonal, and was rooted more deeply in his heart than any private irritation could be; but he did consent, and the interview took place on the 23rd of April. Probably Victor Emmanuel in after days was never gladder of anything he had done than of having caused his two great subjects—both his subjects born—to part for the last time in this mortal life in peace. On one other memorable occasion the man who, at twenty-two, said that he meant to be Prime Minister of Italy, and who now, at fifty-one, was keeping his word, filled with his presence the Chamber of which he seemed to incarnate the life and history—which may be said to have been his only home, for Cavour hardly had a private life. Very soon the familiar figure was to vacate the accustomed place for ever. An obscure deputy put a question on the 25th of May, which gave Cavour the opportunity of expounding his views about Rome still more explicitly than in the previous autumn. It was impossible, he said, to conceive Italian unity without Rome as capital. Were there any other solution to the problem he would be willing to give it due consideration, but there was not. The position of a capital was not decided by climatic or topographical reasons: a glance at capitals of Europe was sufficient to certify the fact; it was decided by moral reasons. Now Rome, alone out of the Italian cities, had an undisputed moral claim to primacy. 'As far as I am personally concerned,' he said, 'I shall go to Rome with sorrow; not caring for art, I am sure that among the most splendid monuments of ancient and modern Rome I shall regret the sedate and unpoetic streets of my native town.' It grieved him to think that Turin must resign her most cherished privilege, but he knew his fellow-citizens, and he knew them to be ready to make this last sacrifice to their country. Might Italy not forget the cradle of her liberties when her seat of government was firmly established in the Eternal City! He went on to say that he had not lost the hope that France and the Head of the Church would yield to the inexorable logic of the situation, and that the same generation which had resuscitated Italy would accomplish the still grander task of concluding a peace between the State and the Church, liberty and religion. These were no formal words; Cavour's whole heart was set on their realisation. He did not doubt that the knot, if not untied, would be cut by the sword sooner or later. He felt as sure as Mazzini felt that this would happen; but more than any man of any party he had reckoned the cost of ranging the Church with its vast potential powers for good, for order, for public morality, among the implacable enemies of the nascent kingdom. And, therefore, his last public utterance was a cry for religious peace. Always an immense worker, in these latter months Cavour had been possessed by a feverish activity. 'I must make haste to finish my work,' he said; 'I feel that this miserable body of mine is giving way beneath the mind and will which still urge it on. Some fine day you will see me break down upon the road.' On the 6th of June, after two or three days of so-called sudden illness, he broke down upon the road. Fra Giacomo, faithful to his old promise, administered the sacraments to the dying minister, who told Farini 'to tell the good people of Turin that he died a Christian.' After this his mind rambled, but always upon the themes that had so completely absorbed it: Rome, Venice, Naples—'no state of siege,' was one of his broken sayings that referred to Naples. It was his farewell protest against brute force in which he had never believed. 'Cleanse them, cleanse them,' he repeated; cleanse the people of the South of their moral contagion; that, not force, was the remedy. He was able to recognise the King, but unable to collect the ideas which he wished to express to him. monument to the andersonville of the piedmonts where hundreds of bourbon soldiers were starved to death. In a previous popst I wrote about the prison on the French border where many Southerners were starved to death in deplorable conditions. The fort of Finestrelle is called the "Great Wall of Europe"
The Fort of Fenestrelle, considering its overshadowing size, is a colossal military work made up of three different forts: San Carlo Fort, Fort delle Valli (of the Valleys, n.d.T.) and Fort Tre Denti (Three Teeth, n.d.T. ), which cover a 3-kilometre length and have a 600-metre height difference. Building works began in 1728 on engineer Ignazio Bertola’s plan, count of Exilles, and finished only in 1850, 122 years later.. Other famous architects took over Bertola’s work, such as De La Marche, Di Robilant, De Vincenti and Pinto. Despite the long period of activity, the fort was never involved in warfare, and it can be asserted that its only presence was a very strong and evident dissuading element towards potential invaders. Several renovating works have been started since 1990, taken care of by Associazione Progetto San Carlo Onlus (San Carlo Project Association, n.d.T.). 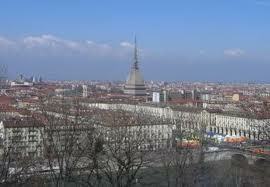 Since 1999 the fort has been classified as symbol monument of the Province of Turin. It was also the place where bourbon prisoners of war were left to die .